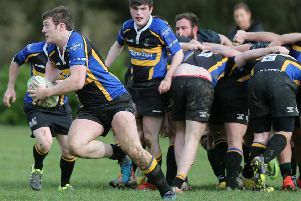 Melrose aim to extract at least some glory from the last season before rugby reconstruction by booking their place in the Scottish Cup final. 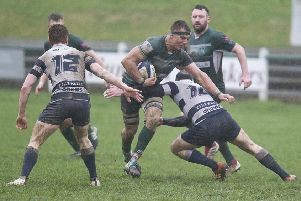 The chance to do so comes this Saturday at home to Ayr – who agonisingly pipped them for a tilt at the Premiership title with a late, late win last weekend in a semi-final decided by a stoppage-time penalty try. While they won’t be able now to retain the league crown, before the advent of the Super 6 set-up next season, they could still hold on to the Scottish Cup, which they won last April at BT Murrayfield. However, thoughts of keeping the silverware are a little further from their minds right now than hopefully putting right the damage against Ayr. Head coach Rob Chrystie said he could not fault the commitment or attitude at Millbrae last weekend (report on page 71). “The boys put everything on the line, to be fair to them,” he said. “The boys who played put in some shift. The effort, desire and amount of work that went in to nearly getting over the line was good. It was disappointing not to get over the line – I was pretty proud of the boys. Both sides created small chances here and there during the game but didn’t quite take them, added Chrystie, and these were the small margins on which results often rested. “These games are generally decided on little opportunities and we maybe need to be a little bit more accurate at the right time,” he said. The season was on the line for Melrose now, added the head coach. It was knock-out rugby and this was the chance to try and produce the best performance of the season and see where they got to. Hopefully, it would get them over the line and then they would have the opportunity to go and do it again. The focus was very much on this Saturday’s game and the players were confident, added Chrystie.